If you have discoloured, chipped, stained or uneven teeth and you want a natural looking smile then Dental Veneers could be the right option for you. A veneer is an ultra thin piece porcelain that is fixed to the surface for your teeth. Veneers are extremely versatile and can be used to align crowding or protruding teeth, close gaps or lighten tooth colour. The strength and appearance of our porcelain veneers rivals that of natural teeth and they're used to make long lasting changes to the smile. 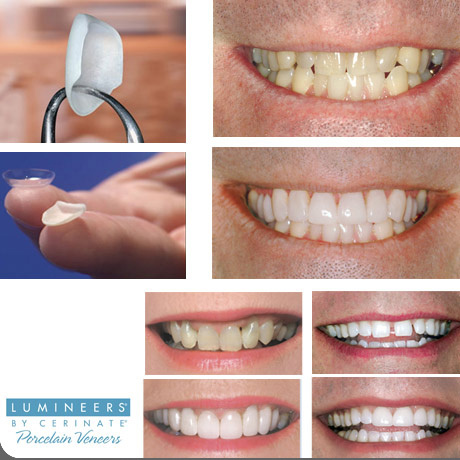 Porcelain veneers can be used to mask a single dark tooth but more often are used as part of smile makeover. At Abington Dental our smile makeovers start at the consultation where we find out what clients don’t like about their teeth and what type of smile is required.